By engaging Online Fitness Log as the platform for your corporate wellness program, you are making a vital investment in your company’s future. Studies have shown a significant increase in employee morale and job satisfaction when they participate in staff wellness programs. Corporate wellness programs can help companies improve employee productivity and save on health care costs — not only for the employee but for the organization as well. Many forward thinking companies are adding corporate wellness programs to their benefits package as a strategic move toward healthier lifestyles for their employees. 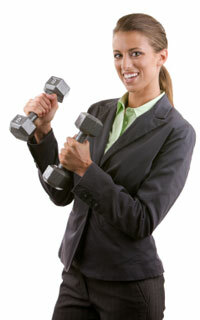 Corporate wellness programs serve the employee by supporting healthy workplace behavior. Furthermore, companies find it worthwhile to create a culture of health and wellbeing and to educate employees regarding health and fitness. Although businesses introduce comprehensive corporate wellness programs with many options, an incentive is often necessary to encourage employees to actually participate in corporate wellness programs. The issue that many companies have in common is a lack of motivation. Online Fitness Log can help motivate employees with competitions, increase engagement with messaging tools, encourage healthy eating habits with food diaries and food journals, and track participation for accountability with fitness software. Online Fitness Log’s set of comprehensive tools increases the employee’s endeavors to keep pushing toward their goals of employee wellness. Online Fitness Log is a resource for wellness programs and health promotion initiatives. Our programs are not a substitute for regular medical checkups, but are designed as a supplement to your benefits package. With the various programs that Online Fitness Log can provide, we can tailor a wellness program for your unique situation. Complete the form to the right for a custom quote for implementing your corporate wellness initiative.